It's easier than ever to save cash with Split holiday packages on Expedia. You'll have loads more time to sort out the fun stuff — and more spending money! Wouldn't it be nice to earn savings up to 15%*? Purchase your group's package deal on Expedia now! Our comprehensive database provides more than 400 partner airlines and 321,000 worldwide properties. With such a great range to select from, you can't go wrong! If you have to change your holiday plans, we'll honour your cancellation request on almost all bookings with no hidden fees. Itinerary need a little padding? Split holiday all booked but unsure what to expect when you arrive? Let us make it simple. If you only had one day in Split, you'd want to spend it marvelling at Diocletian's Palace. An iconic attraction that you won't soon forget, it brings in scores of tourists from far and wide. With attractions like the Mestrovic Gallery and Cathedral of Saint Domnius, there's never a dull moment in this animated metropolis. When you've finished having a look at those, move on to Salona Ruins and the Gregory of Nin Statue. Take in a deep breath of fresh air as you walk along the waterfront at Split Riva. There's an excellent range of things to do in this destination. Kite flying by the sea is something the entire family can enjoy. If it's a blowy day, why not have a go at launching one at Bacvice Beach? Still got time to spare? Fill your lungs with the fresh, unpolluted air and marvel at beautiful seabirds flit overhead at Kasuni Beach. Spending a couple of hours by the waterside does wonders for the soul. Taking a break isn't just about checking off places on a map. It's about the people we come across and the experiences we have along the way! For more things to do, check out our Split things to do page. 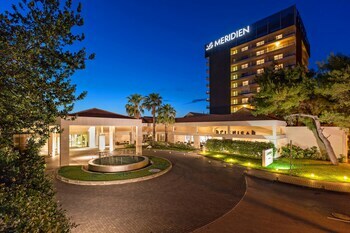 Make your way to Split with ease knowing that you have your accommodations secured. 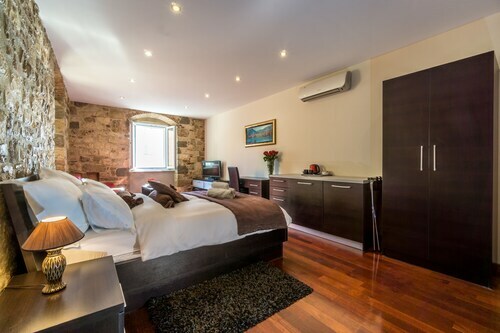 With 114 properties available, booking a soft, comfy bed for your next luxury getaway or cheap holiday will be a breeze! 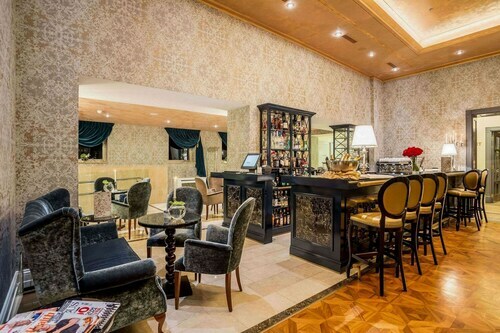 Those with an eye for life's little luxuries will feel right at home at the Hotel Vestibul Palace (Iza Vestibula 4) and the Cornaro Hotel (Sinjska ulica 6). If your holiday piggy bank isn't as full as you hoped it would be, the Stipan Apartment (Radmilovica 11) and the Design Hostel Goli & Bosi (Morpurgova poljana 2) are a couple of cheaper options. 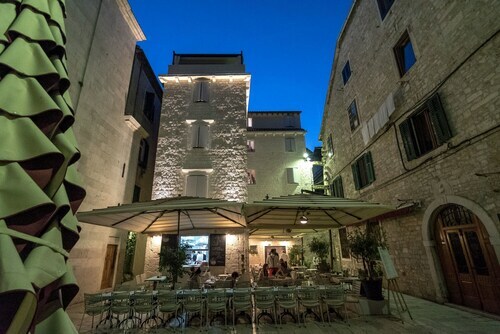 Another good option is to stay near Diocletian's Palace. You can make this happen by booking in at the Split Allure Apartments, which is only 0.2 miles (0.3 km) away. Also recommended is the Hotel Marmont Heritage, a mere 0.1 miles (0.2 km) away. No one loves standing around at the airport. But it's well worth it when you remember the incredible destination that awaits! Positioned 7 miles (11 km) west of Split, Split Airport (SPU) is the nearest terminal. Explore the historical heart of Split and view the remnants of the Roman complex from which the city evolved. Long after this imposing medieval fortress played a pivotal role in Dalmatia’s history, it was used as a filming location for Game of Thrones. Backing onto the pine-covered foothills of the Marjan peninsula, this scenic pebble and sand stretch has an appealing laid-back atmosphere. Charter a skippered yacht for a special day out or simply admire the gleaming vessels moored at this chic, sleek marina. Gain insight into Dalmatia’s Roman past at these expansive ruins, which include the remains of an impressive amphitheater. See the weird and wonderful creatures which inhabit Croatia’s Adriatic Sea at this long-standing fish market housed within a charming old building. This family-friendly Split hotel is located on the waterfront, within 2 mi (3 km) of Znjan Beach, Bacvice Beach and Port of Split. Diocletian's Palace and Split Riva are also within 3 miles (5 km). Located in Split Old Town, this hotel is steps away from Gallery of Fine Arts and Diocletian's Palace. Split Riva and Port of Split are also within 15 minutes. Split Station is 29 minutes by foot. Located in Split Old Town, this boutique hotel is within a 10-minute walk of Natural History Museum, Diocletian's Palace, and Split Riva. Bacvice Beach and Port of Split are also within 10 minutes. Located in Split Old Town, this hotel is steps away from Kresimir Street, Diocletian's Palace and Split Riva. Bacvice Beach and Port of Split are also within 15 minutes. Split Station is 30 minutes by foot. 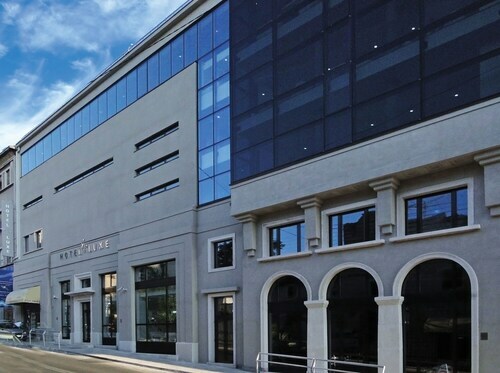 Located in Split Old Town, this hotel is steps away from People's Square, Diocletian's Palace and Split Riva. Bacvice Beach and Split Marina are also within 1 mile (2 km). 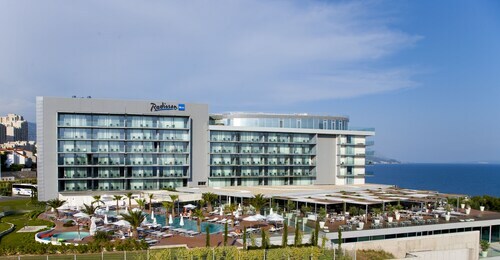 Located in Bacvice, this luxury hotel is within a 10-minute walk of Bacvice Beach and Port of Split. Diocletian's Palace and Split Riva are also within 1 mile (2 km). Located in Split Old Town, this boutique hotel is steps away from City Museum of Split, Diocletian's Palace and Split Riva. Bacvice Beach and Port of Split are also within 15 minutes. Split Station is 30 minutes by foot. Located in Bacvice, this spa hotel is within 1 mile (2 km) of Natural History Museum, Bacvice Beach and Diocletian's Palace. Split Riva and Port of Split are also within 1 mile (2 km).